Milk collaborated with VR studio New Reality Company to create “Tree” – a new VR film and installation which launched at Sundance Film Festival 2017 as part of its “The New Climate” programme, which aims to draw attention to environmental issues and climate change. Tree was also showcased at TriBeCa, NAB 2017 and an environment focused TED Talk. Milk worked closely with Tree creators/directors Milica Zec and Winslow Porter to create the hero tree asset. 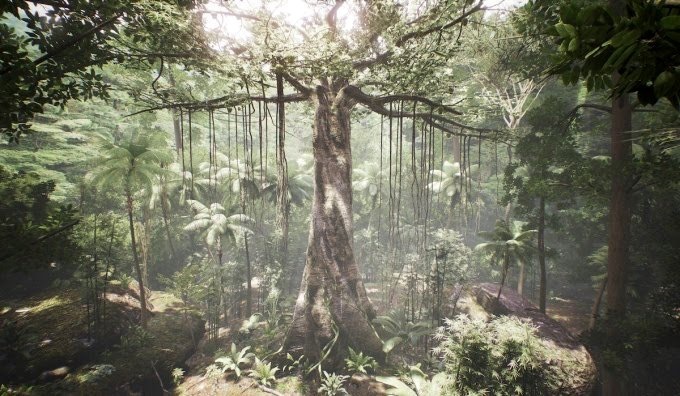 Based on an initial concept and demo, we made the main interactive, rigged tree structure that animates through different life stages and the subsidiary attached branch and leaf animations for the tree’s life stages, from seed through to mature tree. This included modelling and rigging of the real time full tree morphing structure, dynamic materials, animated leaves and fruit for the various life stages. In addition, Milk provided R&D to produce animated procedural L-system growth that ran throughout the entire length of the film and also to provide the dynamic attachment of subsidiary animations. Milica Zec and Winslow Porter are the creators of last year’s groundbreaking and critically acclaimed VR film “Giant” which showcased at Sundance 2016.